Hotel Selfoss is an attractive and peaceful four-star hotel in Selfoss. The hotel stands on the banks of the majestic river Ölfusá, providing a spectacular view on the river and the nearby mountain, Ingólfsfjall. Hótel Selfoss offers 139 richly equipped rooms designed to make our guests feel comfortable and relaxed. The hotel has six comfortable and technically well-equipped meeting rooms that can in total seat up to 650 people. The meeting rooms are all located at the second floor. The hotel is not only a great option for conferences and meeting but also for weddings or celebration of any kind where music and dance are in the forefront. The hotel’s Riverside Restaurant offers delicious meals cooked with care from fresh ingredients. The restaurant´s a la carte menu holds a selection of diverse dishes. In the evenings, the restaurant also serves a hearty dinner buffet. It also offers vegan meals and gluten-free courses. Riverside Spa is the perfect place to relax your body, enhance your vitality and improve our look. Guests receive bathrobes and towels at the spa entrance. The spa contains a warm and pleasant environment where references to Icelandic nature are evident. Fire, ice, water, steam and the northern lights are tastefully incorporated into the design. 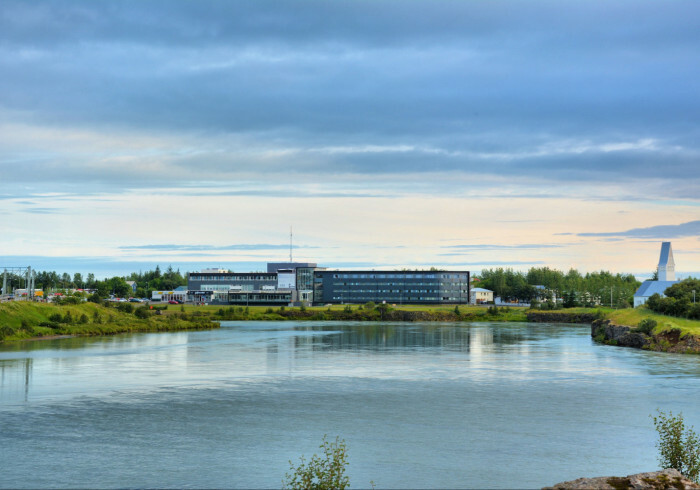 There are some great things to do in Selfoss as you’re never short of tours or attractions to make the most of your time in the town and nearby. Whether you’re visiting with friends or family, no matter your interests, you’ll find some great places of interest to keep you entertained.